Led Zeppelin t-shirts are back! 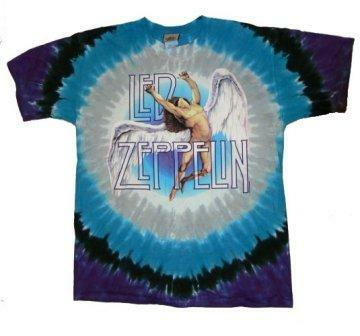 This classic Zeppelin tie dye features the bands logo and classic Swan Song artwork on the front of this tie dye t-shirt. Officially licensed Led Zeppelin merchandise.